When I joined SQM and heard about David’s blog, I asked if I could write about some of the amazing experiences I have had. As a Yelp Elite Blogger, I thought this was a no-brainer, so the verdict is in and I am taking over the blog for the week. As a deal hunting, fashionista, I love to shop and flex my retail muscles during a great session of retail therapy. I’m always on the lookout for the next best thing, including those hidden treasures that all of your friends ask you about. Recently I struck gold at the Grand Opening of Arc’teryx at Yorkdale Mall. Arc’teryx is a premium clothing and sporting goods company that provides customers with gear to perform in extreme weather conditions. Traditionally, when you line up for a grand opening, the store makes you stand in line like cattle, until the very last minute, when they officially open their doors, but Arc’teryx’s event was done in a much better way. My friends and I arrived at 4:30 am for this well promoted event, yes you read that correctly….4:30 am! Upon arrival, we added our names to the list being held by the Arc’teryx organizer. Around 6:00 am we were brought into the mall where we were given water bottles, cupcakes, cookies, custom Nespresso beverages, and gluten / dairy free granola bars. The fun didn’t stop here, though, with the promoters throwing Arc’teryx t-shirts into the line to excite us while we waited. About an hour later Breakfast Television began filming their segment on the new stores within Yorkdale Mall and they gave us all $50.00 gift cards for being the first people in the new section of the mall. Finally, Arc’teryx had gifts for everyone who attended their grand opening. Everyone went home with an orange goretex lunch box and the first 50 people in line received even more. The first ten people in line received an $800 shell jacket, while the next ten guests received a $300 insulated jacket (I was in this group) and the remaining thirty guests received backpacks filled with gifts like hats, trail mix, flasks and note books. 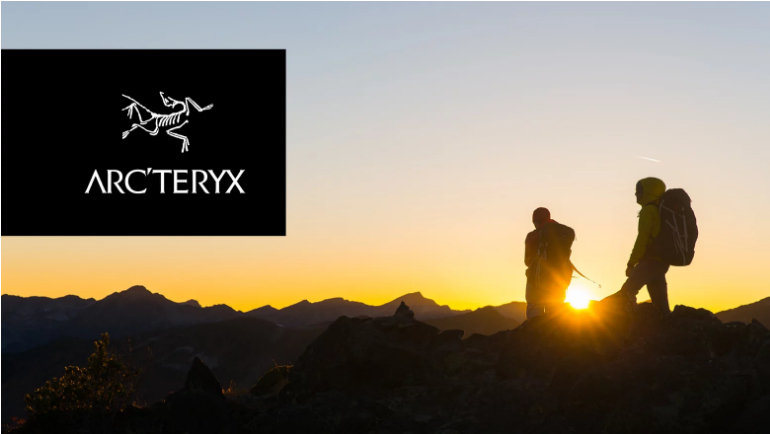 Arc’teryx knows the keys to retail success! I highly recommend Arc’teryx and can vouch for their high quality product, and amazing customer service.